In a recent interview, Jerry Sandusky’s wife – Dottie Sandusky – revealed she still had hope even after his 45-count guilty verdict. The former Penn State assistant football coach has been arrested, tried and convicted of abusing ten boys. When the judge handed down a 30- to 60-year prison term for her husband, Dottie Sandusky said she fully comprehended his predicament. Jerry Sandusky, 70, was convicted in 2012 of abusing ten boys over 15 years but maintains his innocence and is pursuing appeals. The scandal brought down the Penn State president and storied head coach Joe Paterno and eventually led the school to pay nearly $60 million to settle civil claims. Three former Penn State administrators await trial on charges they covered up allegations against Jerry Sandusky. In recent weeks, Dottie Sandusky has been granting interviews, arguing her husband’s conviction was unjust and claiming the accusers who testified against him told inaccurate stories to cash in. Speaking with The Associated Press, Dottie Sandusky said her husband had informed her when complaints were made against him regarding showering with boys in 1998 and 2001. Those complaints didn’t seem to worry Jerry Sandusky, she said, even though one spawned an investigation by police and child protective services and the other resulted in a restriction against him bringing children into Penn State facilities. “He didn’t think a thing about it,” Dottie Sandusky said. She said her husband also told her promptly about a 2010 investigation into his contact with a boy at a high school in central Pennsylvania that forced him to hire a lawyer and led to the filing of criminal charges. “Jerry said when it first started it was really nothing,” Dottie Sandusky said. In the interview, Dottie Sandusky repeatedly turned her focus to the eight young men who testified against Jerry Sandusky and the couple dozen others who have contacted Penn State with abuse claims. “I know who he is, and I know what he is, and people need to look into some of the other situations,” she said. Cliff Rieders, a Williamsport attorney who represents one of the accusers, said he viewed the interviews being given by Dottie Sandusky as an effort to influence public opinion and possibly help his appeal. Dottie Sandusky said she is hoping the state Supreme Court grants her husband a new trial; he lost a lower-level appeal and the justices have not said whether they will take the case. Her claim that witnesses were manipulated into giving false evidence was a key element of her husband’s criminal defense. The fact that jurors were not convinced doesn’t sway her – she said jurors had made up their mind before the trial began. “I trust my husband,” she said. 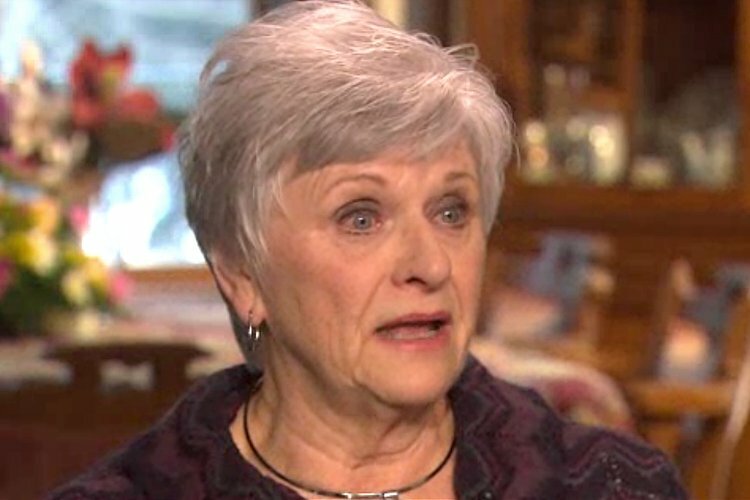 Dottie Sandusky, who was a defense witness and did not see others testify, said the accusers’ testimony shouldn’t have been given more credence than her husband’s version of events. Jerry Sandusky did not take the stand and has declined repeated requests for an interview.